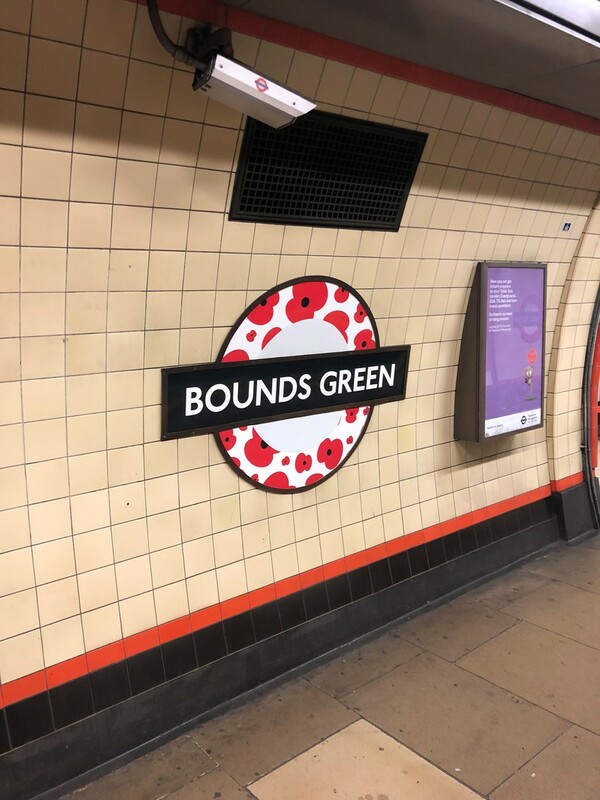 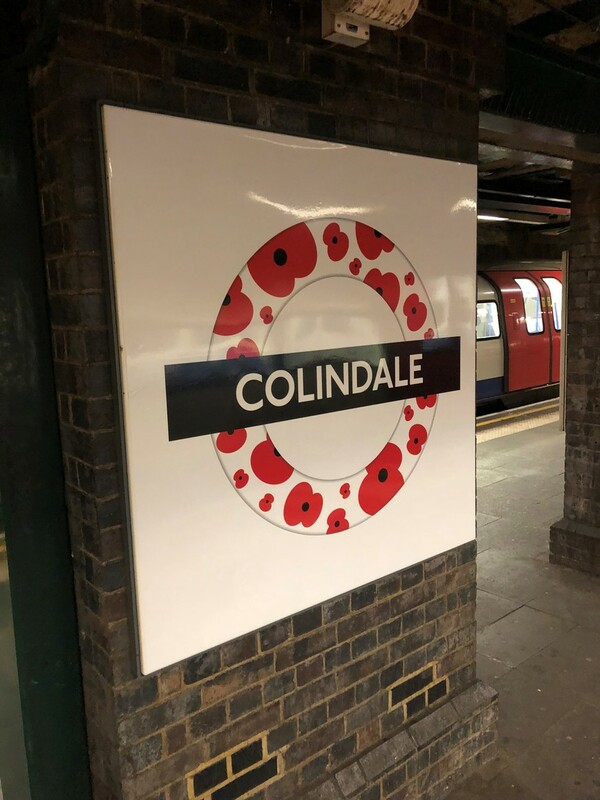 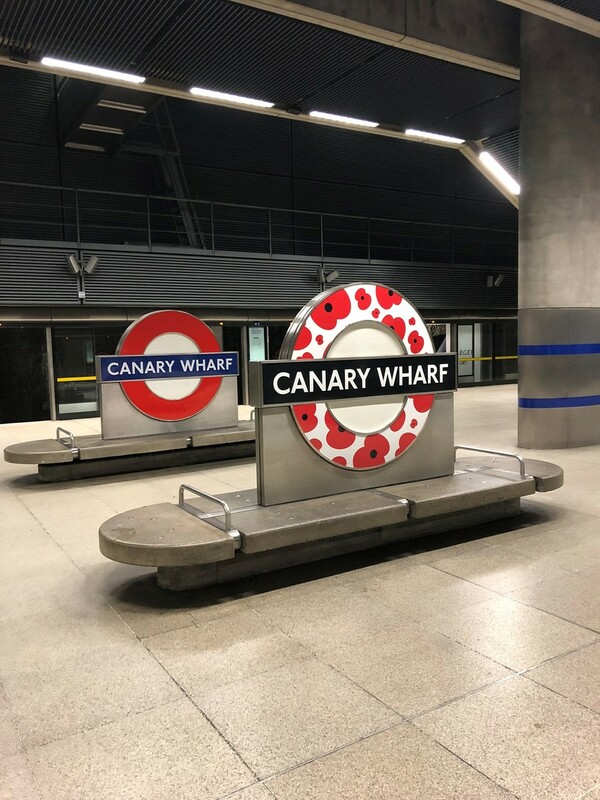 Roundels at 10 London Underground stations got a poppy themed makeover this week. 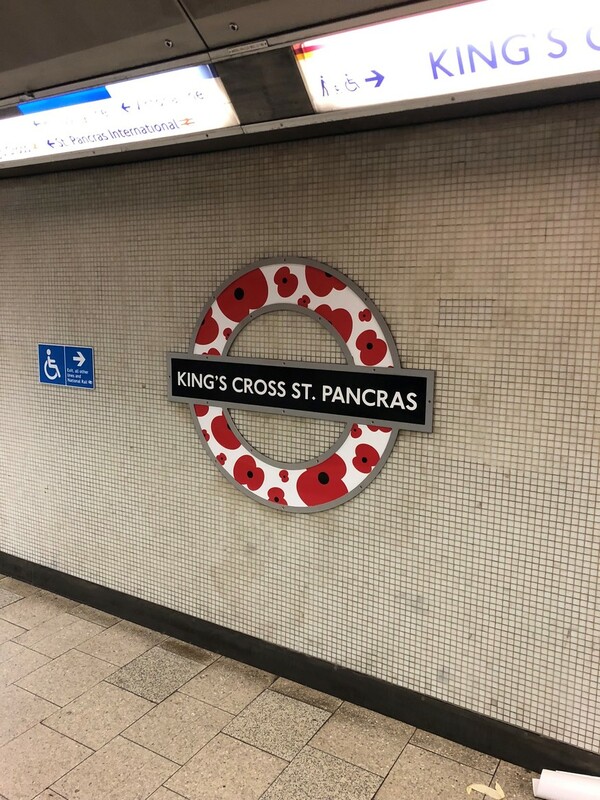 No prizes for guessing why — it's ahead of Remembrance Day on 11 November. 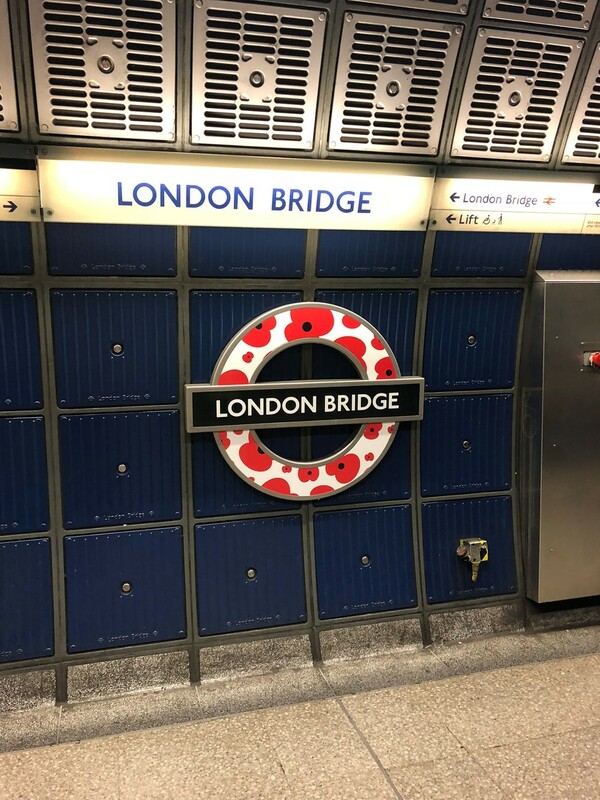 Take a look at photos of the redecorated roundels below. 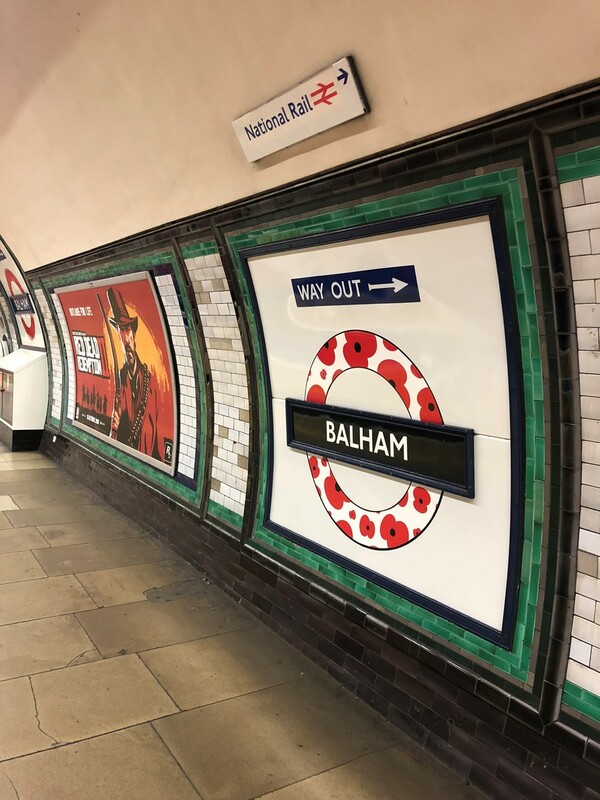 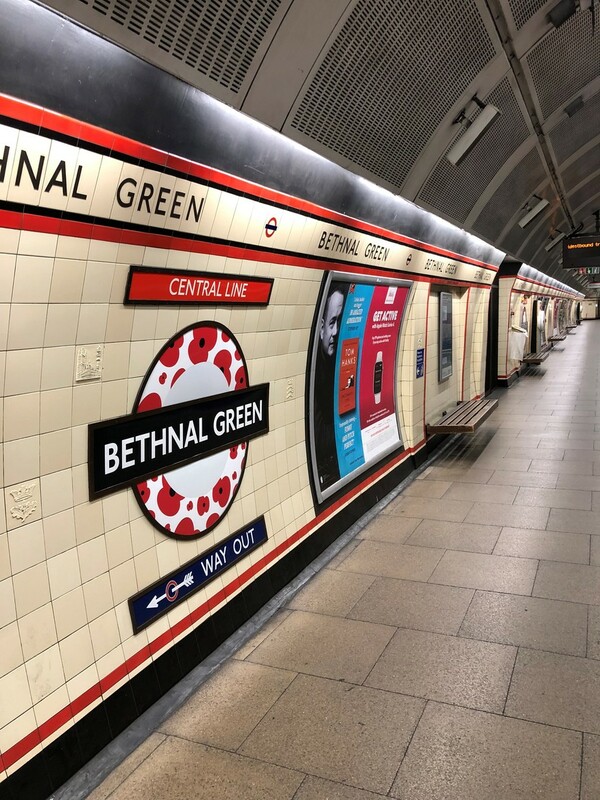 It's especially heartwarming to see that this redesign wasn't reserved for zone 1 stations alone — Balham, Colindale and Bounds Green all got in on the action. 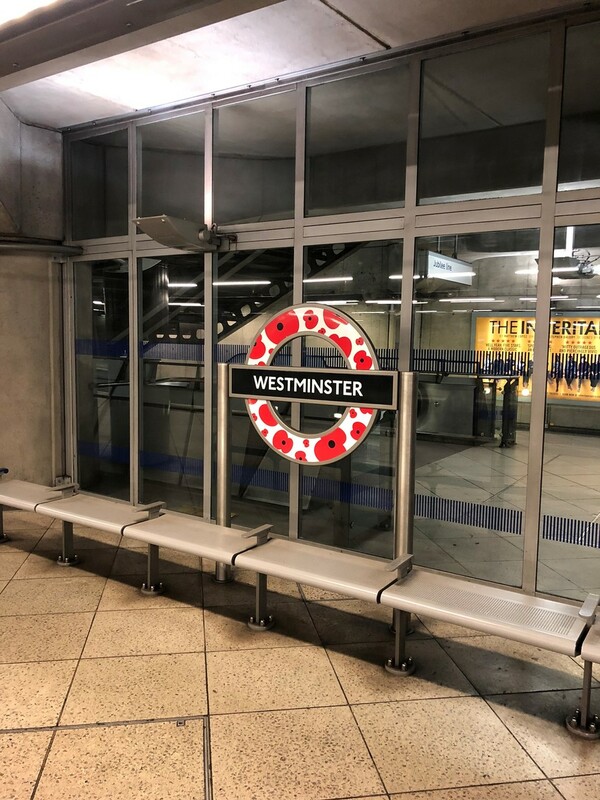 There are also four London Overground stations with these special edition roundels, but we'll leave those to you to hunt down. 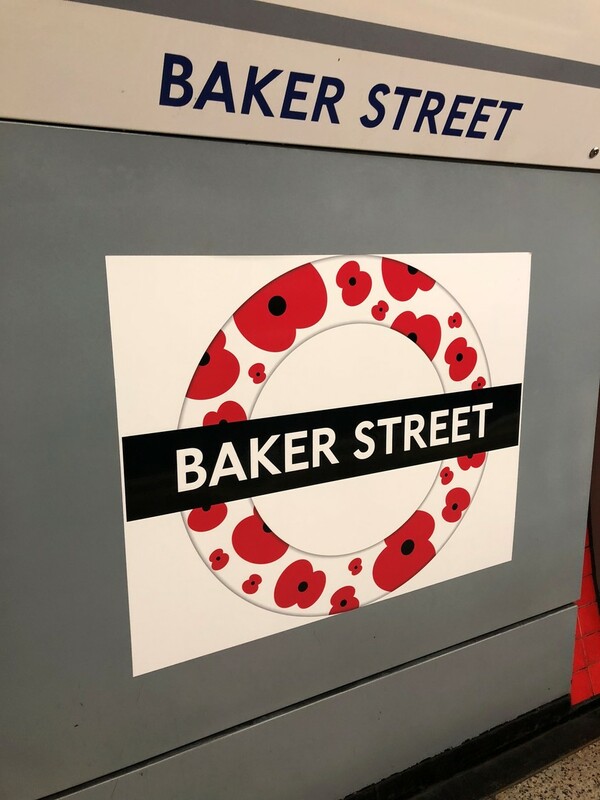 All images courtesy of TfL.